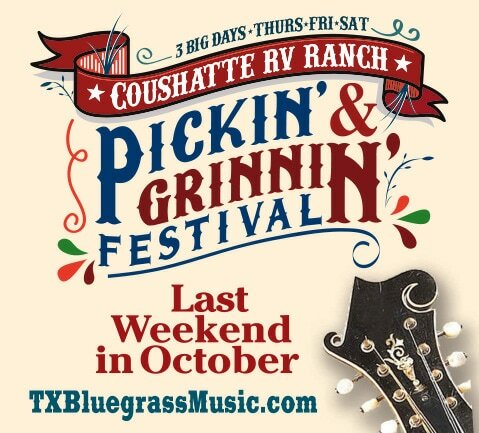 Event Calendar - A quaint little Texas town with a big Texas heart! You'll find plenty to do in Bellville...and you're always welcome. Taste whiskey cocktails and hors d’oeuvres. Dolly Parton look-a-like contest & music. Come warm up with us and have some fun on Dolly Parton’s birthday! at 742 W. Main, Bellville 979-865-3407 or $10 tickets at the door. $2 Beer / Set Ups Available. Casino Tables & Slots. CASA Bucks included. Register for High Stakes Poker Tournament. Downtown Bellville Merchants open for some sweet shopping. Just down the road from Bellville in downtown Kenney, Texas. $65 donation supporting local Lion's charities. beer, wine, margaritas and dessert bar included. 11:30 & 12:30 at the Awesome Shoppe booth on the square. 9am-4pm Walking distance from the Texas Select from Forged in Fire event! Food Trucks and other food vendors along with lots of Market Day fun! Cowboy Szymanski from the 1st season of Forged in Fire invites you to meet & interact with many of his fellow Forged in Fire show bladesmiths. Meet the Bladesmiths in person! Tour the historic Blacksmith Shop & the Carriage House and more! Held at Phenix Knives at 305 E. Main Street, just a couple of blocks from the historic downtown square. Visit BellvilleGolf.com for more information. Join us for an art show and craft beer festival in historic Downtown Bellville. Shopping, Art & Hand-crafter goods, Craft beer, Food Trucks & Live Music. A concert of favorite broadway showtunes with dinner. 100 tickets will be sold for each performance. Music, Auction, Kids Activities, Gun Raffle, Country Store and Great Food! German Music & Food (of course beer) at Concordia Hall in Bellville. & Bluebonnet Chapter of the Texas German Society. German Music, Singing Festival and Bar-B-Que Chicken & Sausage Dinner. Advance tickets only for meal. Craft & Domestic Beer, Crawfish & BBQ, Live Music, Shopping! Open Pit BBQ, Brass Band, Bean Bag Tournament, Cake Walk, Dance, Auction. Sample wine in each participating store from wineries across Texas! Live Music | Food Trucks | Photo Booth | Wine! There is no cost for the wine samples. Beef, Pork and Mutton BBQ. To go plates served starting at 11am. Meat by the pound served starting at 10:30am. Fried Chicken, Auction, Tractor Show & More! Firemen's Hall, 16632 Fordtran Blvd, Industry ALL DAY! Austin County Expo Center, 1076 East Hill St.
Run begins at 10am at Farm to Market Produce Company. Registration Fee $30. Benefitting Bellville Volunteer Fire Department. Visit SmallTownHalloween on Facebook for more information.